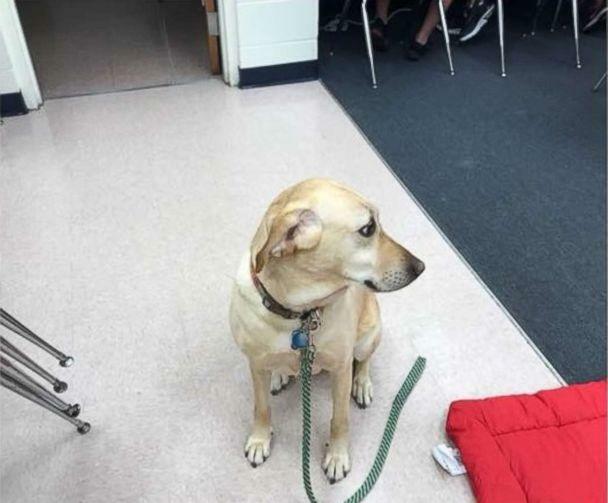 A yellow Lab named Linda was warmly included in the yearbook of the school where she's considered family. 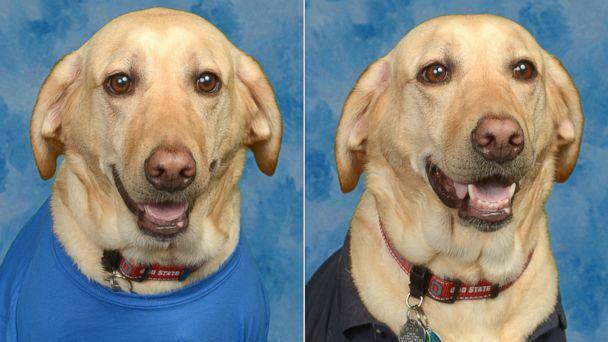 Linda the dog posed for the images at Orange City Elementary School in Florida. 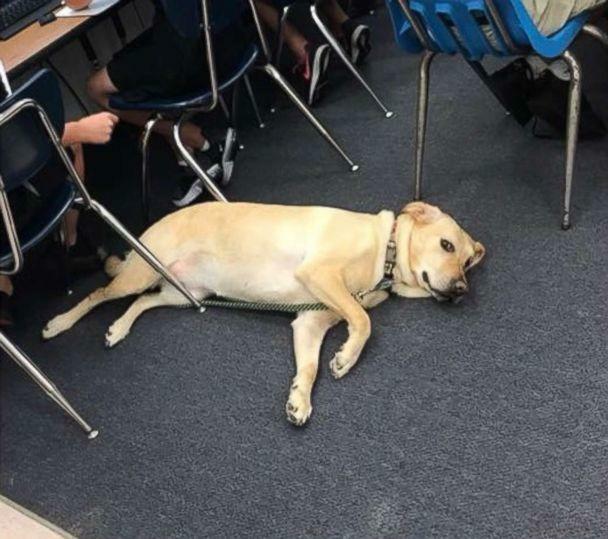 There, the adorable canine is the companion of a fifth-grade student named Rachel who uses a wheelchair. 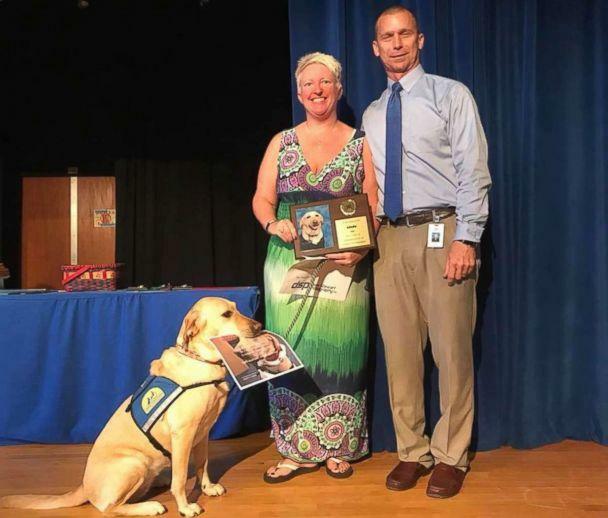 PHOTO: Principal Charlie Bynum of Orange City Elementary School seen in a recent photo as he and Heidi Watton present Linda the service dog with a recognition plaque. The students and faculty love Linda so much that they just had to have her photo in their yearbook, Principal Charlie Bynum told "Good Morning America." "It was a great way to end the school year," Bynum said. "I couldn't go without recognizing her. She's a great dog." On school picture day, Bynum and Linda's owner, Heidi Watton, who is also Rachel's mom, decided to have her portrait taken and the results were too cute for words. The photo appeared in the yearbook, which was distributed on the last day of school, May 30. Linda has also received a plaque recognizing three years of dedicated service at Orange City Elementary. Bynum said that since Rachel has graduated to the middle school, so has Linda. "[Linda] will visit us again," he added.